It’s hat time here in Louisville. That’s right, folks…right now millinery shops all around town are doing a brisk business selling chapeaux by the hundreds. 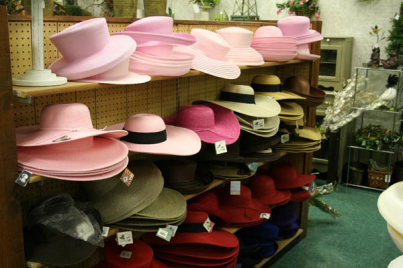 Everywhere you look, ladies are carrying hat boxes out of stores. 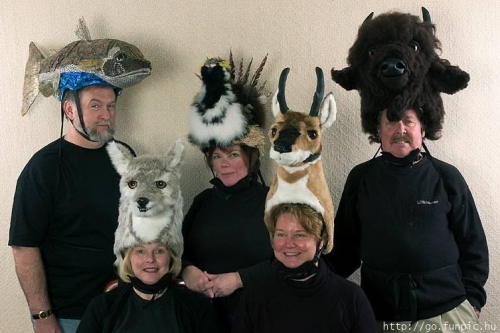 It could also be considered the most exciting place to view a wide variety of headgear. 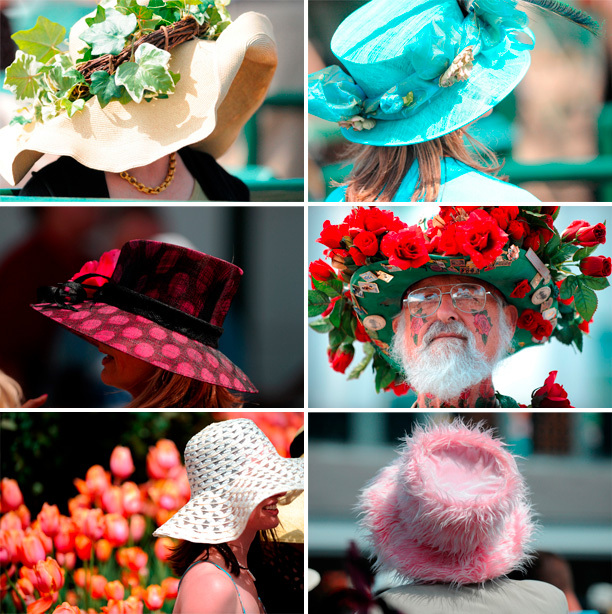 Hats are practically mandatory for watching the Derby, as well as the other big races taking place during the week…such as the Derby’s little sister – The Kentucky Oaks, run on the Friday before the big race. I’ve been to the Derby in the past (and yes, I have the hat to prove it), but this will be my first time attending the Oaks. 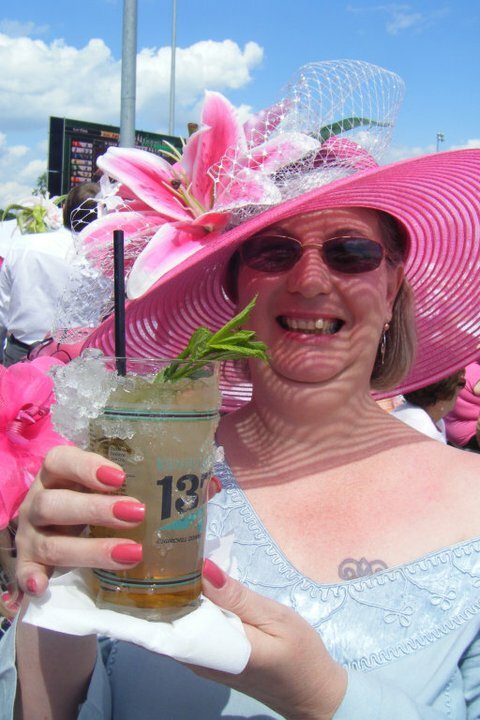 As I wrote in a previous post, the Kentucky Oaks is a fundraiser for breast cancer research, and since my mother succumbed to the disease last year I will be attending the race in her honor. That means I have to have the proper outfit…complete with a hat. Mind you, we’re not talking about a simple baseball cap here. 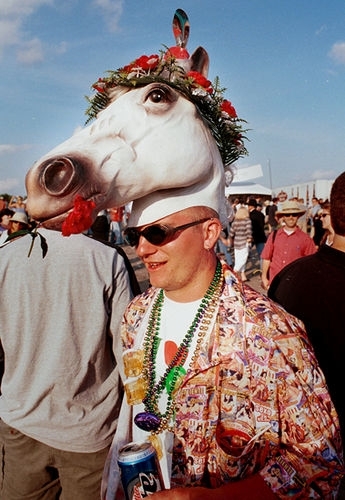 The elaborate creations to be found at Churchill Downs on this day could rival anything seen at the Royal Wedding. And a few are just downright bizarre. While for others small but elegant works best. These hats don’t come cheap, folks. 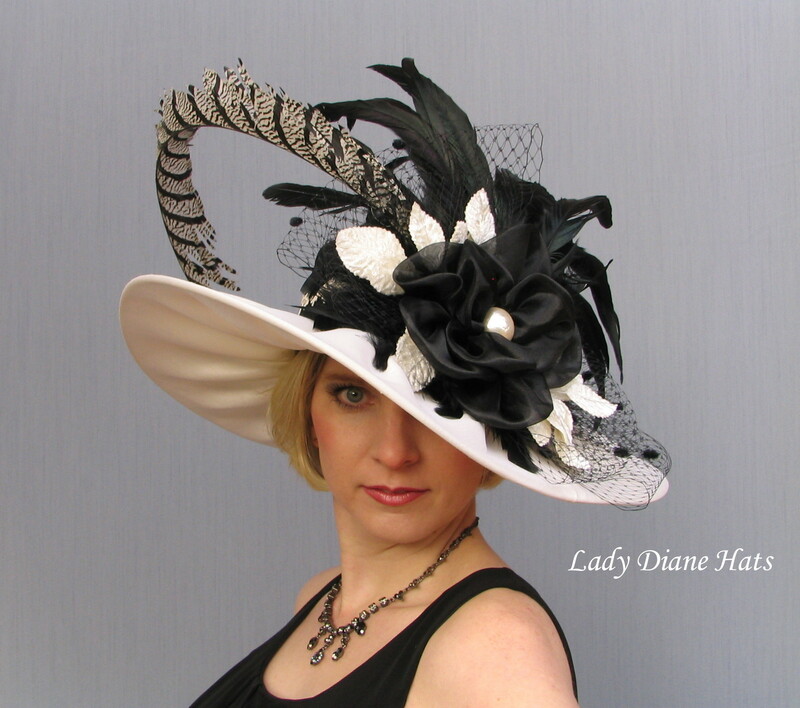 It’s not unusual to pay 150 – 300 dollars on a hat…sometimes even more. Some folks even go all out and decorate their hats with jewels. 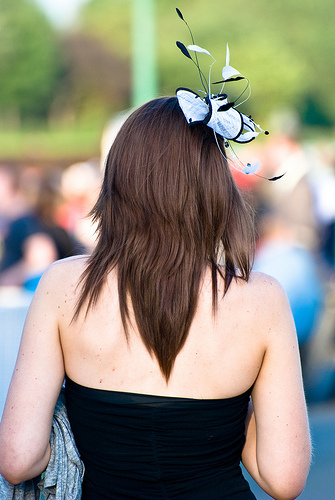 One store in town is holding a drawing for a One-of-a-Kind Derby Hat decorated with diamonds – valued at nearly six thousand dollars. So what about my own hat? 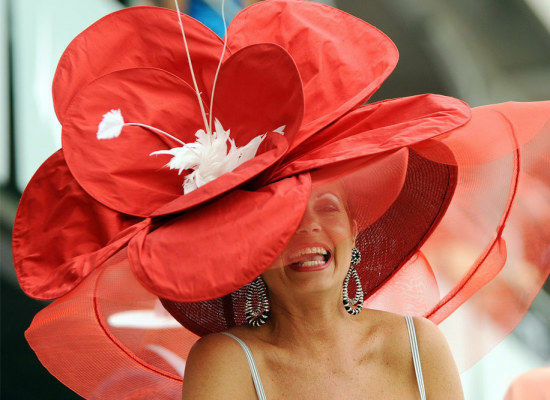 After doing a little consultation with a hat designer, I came up with a style that I think will nicely match the silvery gray dress I plan to wear, while at the same time keeping with the pink theme of breast cancer, and the stargazer lily – the official flower of the Kentucky Oaks. 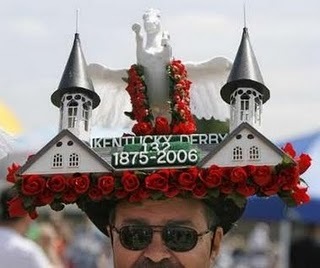 Gotta get in gear and create my KY Derby hat in the next couple evenings. Even though I’m only going to a party to watch it on TV, we like to give it that at-the-track feel by creating our own hat designs, some whacky and wild, some more along the lines of what you’ve got there. great post as usual; the hat is awesome.. better you than me.. and love the idea you are supporting breast cancer.. enjoy the weekend to the fullest; you deserve it..